You asked and we answered! 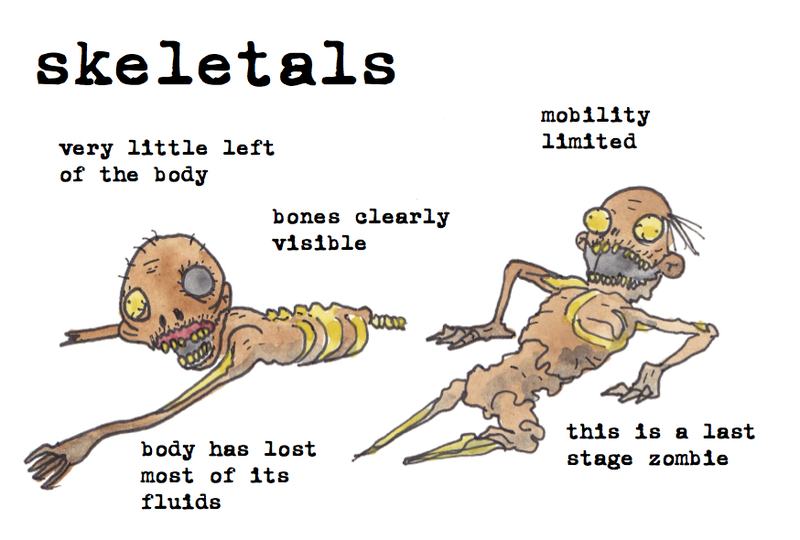 Below are frequently asked questions about zombies. Q. Do zombies have food allergies? Zeds do not have food allergies. When the dead become undead, all personal qualities such as allergies, bad eyesight and favorite movies are replaced by a craving for flesh. Besides, even if you had just finished a peanut butter sandwich and the zombie that eats your brain suffers a terrible allergic reaction, you are still dead, so what does it matter? Q. Are there safety in numbers? Absolutely. It takes a special type of person that can survive in this world alone. The optimal number for a survivor group seems to be somewhere in the 16-32 range. Enough to mount a defense against a horde of undead but not so many that a full evacuation of a shelter takes more than ten minutes. Q. Can animals become zombies? As Miss E has mentioned before, we have no evidence that suggests bitten animals turn into undead critters. Formerly domestic animals have become wild and are often dangerous. Also, zombie attacks on animals are rare and seem to be incidental to the pursuit of human flesh. Q. When the human food supply runs out, will zombies eat each other? No. 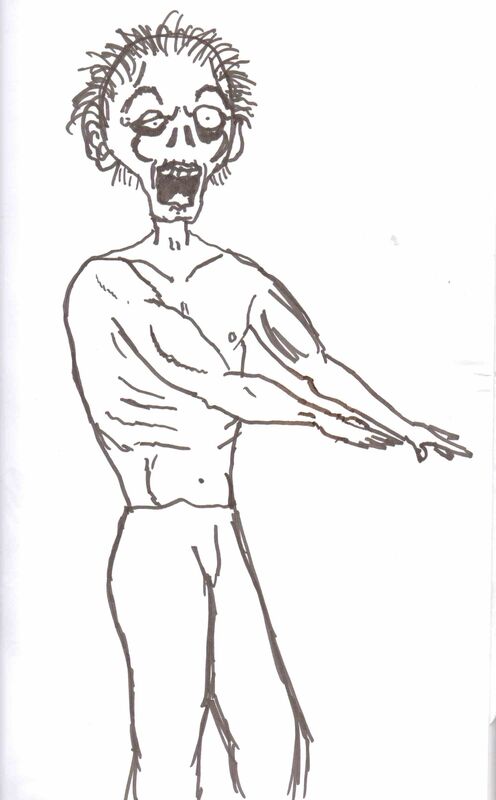 Zombies do not actually need human food to sustain life because they don’t have lives per se. What do they have you ask? A putrid smell and a hankering for human flesh. When they don’t have access to their food, the zombies waste away to nothing. For an example of what this looks like, check out this illustration by one of our favorite fellow survivors who authors Surviving The Dead. Q. Did you ever think that maybe the zed virus is like, maybe, um, part of the evolutionary process, like Darwin and stuff? Q. If ghouls will bite anything, why do people always talk about how they like brains? Zeds aren’t very picky. They appear to eat all human meat with equal enthusiasm. Having said that, they tend to start from the top to the bottom, which can sometimes give the impression of a preference for brains. Q. Are zombies racist? And if so, which races do they prefer to eat and which do they tend to avoid? Zombies do not appear to discriminate by race, but they do tend to favor obese people for obvious reasons. Additionally, ghouls tend to go after slower humans wherever possible, preferring children and older people. Have any questions for the Gracious Ladies? Please send them to the.ladies.zombiehandbook.com! *For medicinal purposes only, readers. Thanks so much for the mention! Keep up the good work and as always stay vigilant!